Some images in the book made me look at it for a long time, while others made me flip the pages fast as I can because they were creepy. I don't think I am ready to see the mysterious secrets hidden in the 6% of earth’s land. My fear for reptiles didn't want me to ponder on the images :) especially because we are planning on going to Sri Lanka that has patches of rainforest in the west coast. Thomas has photographed his images from different tropical rainforests, which is home to half the species that live on our planet. Even in the luxurious rainforests there is competition, I didn’t know that hummingbirds needed to become warriors and compete for nectar. 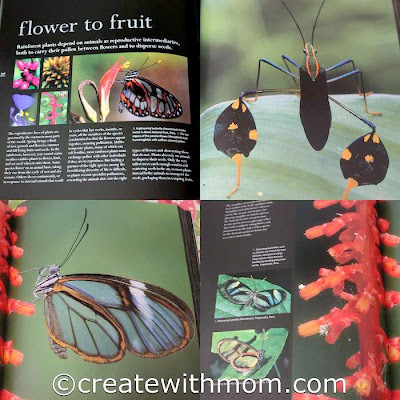 It was fascinating to watch and also learn from the book on how lady’s slipper orchids pollinate and attract the orchid bees with their scent; this scent is important for male bees to attract female bees and reproduce. We found it interesting to watch how the bats help pollinate the cacti plant. Bats travel a long distance to drink the nectar of the white cacti flower that produces the pitaya fruit. Monarch butterflies travel several miles in search for the milkweed flowers so they can survive and breed their offspring. The Monarch butterflies lay their 400 eggs under the milkweed leaves and the caterpillar eats these poisonous leaves. The black and orange colour of the Monarch butterflies warn predators that they are toxic if eaten. Since many humans are not aware of how important the milkweed is to butterflies, they are likely to get rid of this "weed" because of its poisonous milk sap. Until we watched this Disneynature movie, I didn't know the importance of the hardworking bumblebee. Without the bumblebees we will not have tomatoes. Only the bumblebee has the right to pollinate the tomato flowers. Even though humans grow tomatoes without soil in greenhouses, they still need the help of the bumblebee to pollinate the flowers so the tomatoes can be produced. Many of us may not realize how critical honeybees are for over 1400 of our food crops. Human activities such as expansions into the forests to make roads and houses have impacted the honeybee population. We need to reverse this negative impact by gardening even if it is just in pots, and also by helping out our community and neighbourhood gardens. I believe gardening is good for our souls as it brings harmony and peace within us. In celebration of the April 22nd Earth day DK Canada has an earthly pleasure's boutique and are offering 30% off on a selection of their books until April 25th. These collection of books will help us learn how to garden and appreciate nature. We must also remind ourselves that “life depends on the little things we take for granted” so we must do our best to help nature. 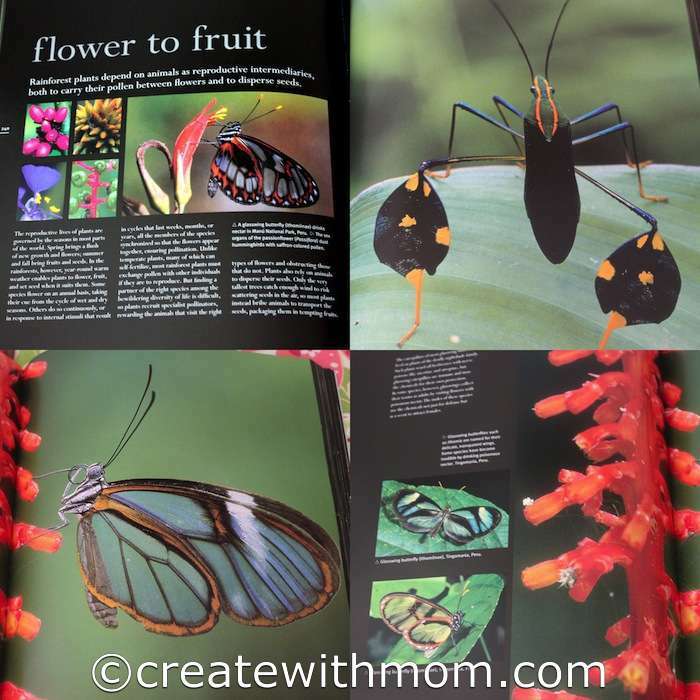 The Disneynature Wings of Life movie and the Rainforest book shows us that important things in the world happen quietly and I think this is proof how great God is and how the miraculous creations are interconnected. It is amazing how many "pests" as we think of them, are instrumental in keeping things going. Those pictures are beautiful! Its so springy! Everything really does have a purpose, doesn't it? What a great learning tool. Your photos make me want Spring even more! And, love DK Books - the one you featured looks great!